Patricia Anthony channeled her frustration with lost, melted, and worn-out lids into designing her own multi-tasking bowl covers. Her silicone designs are stretchy, reversible, and fit most bowls, plates, mugs, and containers. 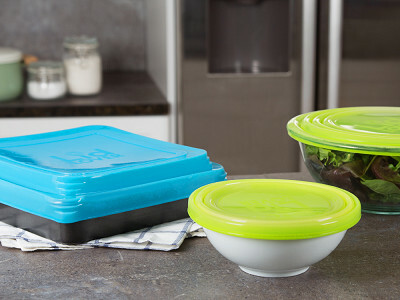 The lids are made from BPA-free, food-safe silicone, and have a unique triple-ring sealing rim that lets them accommodate different dish sizes. There’s even a version for baking dishes, too. And these lids do a lot more than cover leftovers. They can go in the dishwasher, microwave, and even the oven. The round lids double as a pot holder, work as a placemat in the microwave, or give mixing bowls a non-skid surface. You can even write on a lid with a dry erase marker to identify what’s inside. Patricia’s solution is a new kitchen essential you’ll use over and over. Hello everyone! I'm proud to introduce LidLover to The Grommet. I'd be happy to answer any questions you have! Hi! How many lids are in a "pack?" 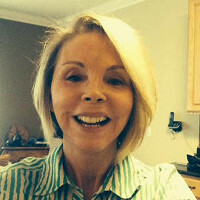 Hi Donna, thank you for your question. The Lids come in a 2 pk. and will fit bowls from 5-7 inches and 7-9 inches. Another great thing about the lids is they will stretch over a plate of left overs. I use mine for cookies and even left over chicken. Yes, the lids can be put into an oven of 400 f. making the lids great for transporting food to a picnic or event where you can put your food into the oven to re-heat it. I've had problems with similar products where they stretch but then don't stay in place (and snap back). What's the track record of these lids? Hi Kristiana, Each lid has 4 rings underneath, so it is easy to identify the ring closest to the rim of your bowl. Once you stretch it over, it will act as a rubber band and keep food fresh. 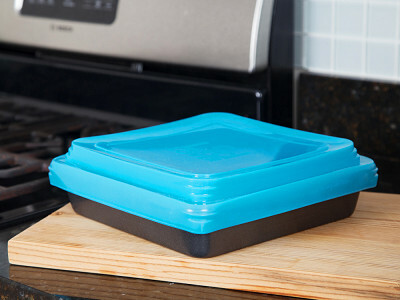 Please remember that you are not only purchasing a lid, but by reversing the lids you can keep one of them in your microwave as a tray to catch all overflows from food. I also use mine as a non-skid surface. Oftentimes if I am going to mix something in a bowl that requires a whisk or hand mixer, I place my bowl in the center of my reversed lid and WA LA...no more hugging my bowl or using a wet towel, plus any mess is caught by the rings. The writing comes off easily . I have found using dry erase markers actually work the best. Be sure to remove the writing before you put your lid into a hot oven or hot dishwasher. I just measured my bowls and most of them are 10 - 12 inches as are my plates? Since you state in a prior response that there are 2 lids, once for 5-7" and 7-9" , I am assuming they would not work on my bowls or plates. Also, I don't understand how it can work on a mug. Please advise. 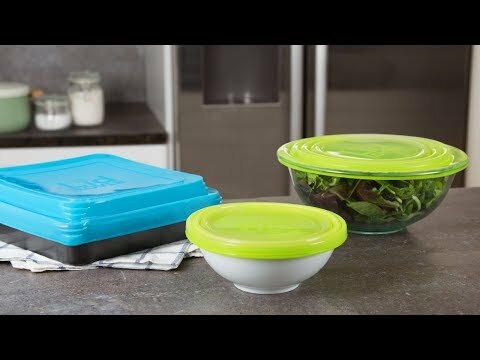 There is one additional Lid that fits from 9-12 inches and works on plates as well as bowls but at this time they are not being featured. Watch for them in the future. The mini lid fits mason jars, jelly jars, pet food cans small coffee cups and yes even mugs....By turning the mini lid over and pressing in the center you are creating a suction. Then roll over the rim...works great!! Its sturdy and yet has the ability to flex. I have even used my small lid on the small touch up paint cans. pssst. The paint won't stick to the silicone and rinses out in mere seconds. Hi Maria, We do have the extra large lid available as of now. I just measured my bowls and plates and most are 10-12" round. Since you state in a prior response that there are 2 lids, one for 5-7" and the other for 7-9", am I too assume that these lids will not work for me? Also, based on the prior response, I don't understand how the lid can cover a mug, since it is much smaller than 5". It would be helpful if your video showed you putting the lid on and taking the lid off various sized bowls and plates. Can these lids go in the freezer? Do you have any other sizes? 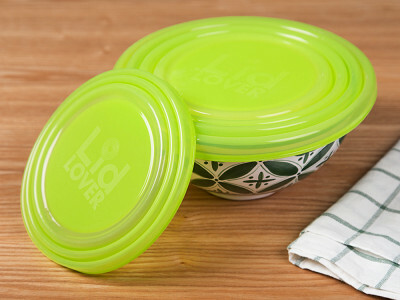 Yes, the lids are freezer safe and can go from freezer to microwave with no worries. We have the mini lid that fits from 2"-3.1/4. The 2 pc set. One fits from 5-7" and the second one fits from7 " -9". Ex large lid will fit from 9 "- 12 inches. The baking cover will fit a 9x9 square or a 8x8 square. Do you have any experience/testing on a stoneware baking dish (like Pampered Chef)? Will they be heat resistant on that kind of container? Also, any experience with a toaster oven vs. a regular large oven/range? I have gone through the expense to have extensive testing on my high quality food grade silicone lids done. They were tested in a regular oven to 400 f. and also in a microwave. I will tell you my own personel experience. I have taken my lids and actually turned one of them upside down putting a hamburger in the center with the lid laying directly on the rack of the oven. (My hamburger was yummy, but as far as a toaster oven, I really don't know. Patricia Anthony channeled her frustration with lost, melted, and worn-out lids into designing her own multi-tasking bowl covers. Her silicone designs are stretchy, reversible, and fit most bowls, plates, mugs, and containers. 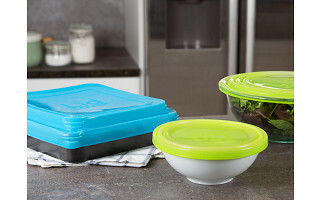 The lids are made from BPA-free, food-safe silicone, and have a unique triple-ring sealing rim that lets them accommodate different dish sizes. There’s even a version for baking dishes, too. And these lids do a lot more than cover leftovers. They can go in the dishwasher, microwave, and even the oven. The round lids double as a pot holder, work as a placemat in the microwave, or give mixing bowls a non-skid surface. You can even write on a lid with a dry erase marker to identify what’s inside.